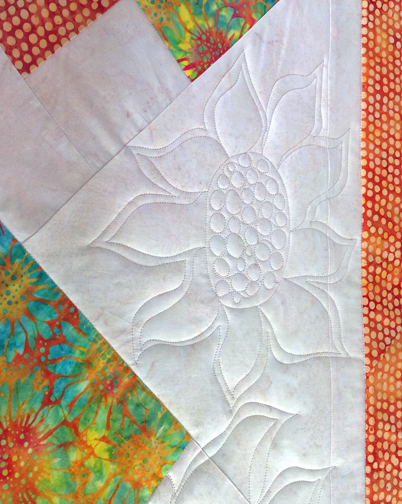 I have been quilting a new quilt for Island Batik this week. Almost finished! This pattern won't be 'public' until the Fall but they need to photograph my quilt for their Fall Catalog. It may seem strange to you that I work so far in advance but it makes all the patterns I publish 'current'. That means you can find the fabrics in your local quilt shops at the same time the patterns are available. 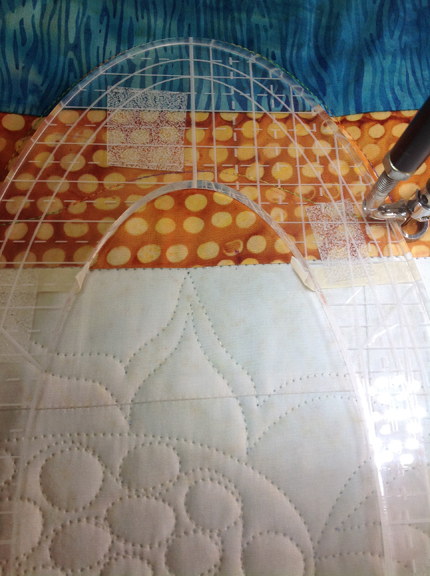 Makes it easier for you when you want to make the quilt I designed.